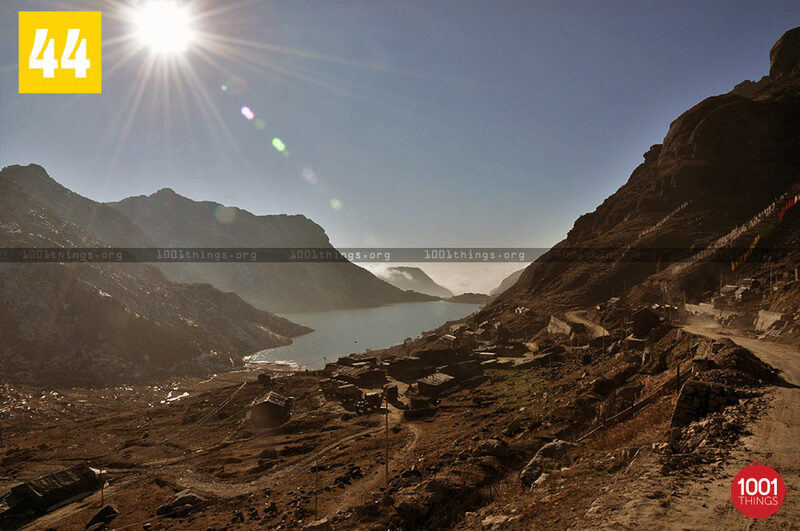 Tsongmo or the Changu Lake is situated at a distance of 38kms from Gangtok and at an altitude of 12,400 ft. Its ethereal beauty makes it a must for every visitor’s itinerary. 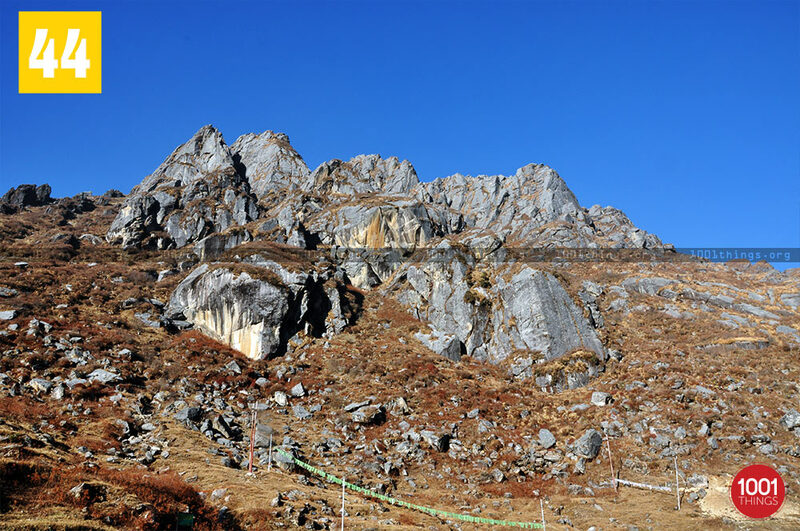 Tsongmo means ‘source of the water’ in the Bhutia language and this is where the lake has got its name from, i.e., the melting snows of the mountains surrounding the lake. What’s fascinating is the different looks of the lake in different seasons. The placid lake remains frozen in the winter with the surrounding are covered in a snow blanket. In the late spring the colourful flowers adds to a riot of colours all around the lake. The surroundings look like a colourful paradise which changes the mood of the people who visit the lake. 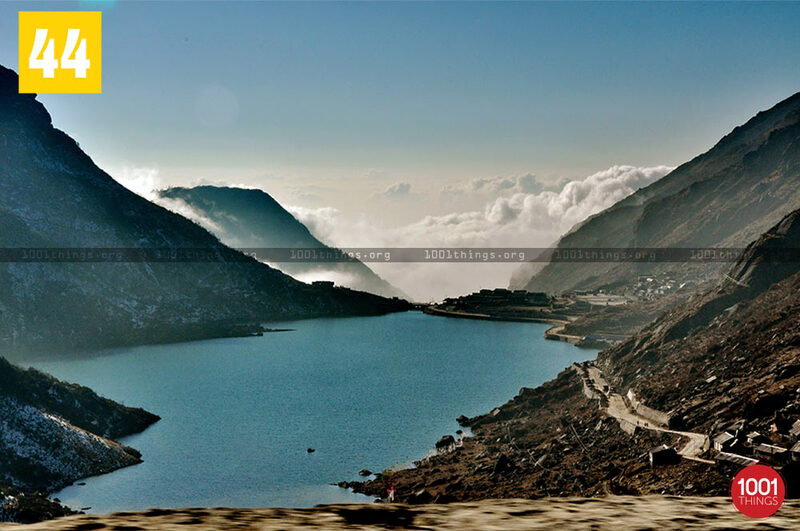 The lake is deemed sacred by the people of Sikkim and it is said that the Buddhist monks could forecast the future by studying the colour of the water of the lake. Myths and legends definitely add up to the excitement. 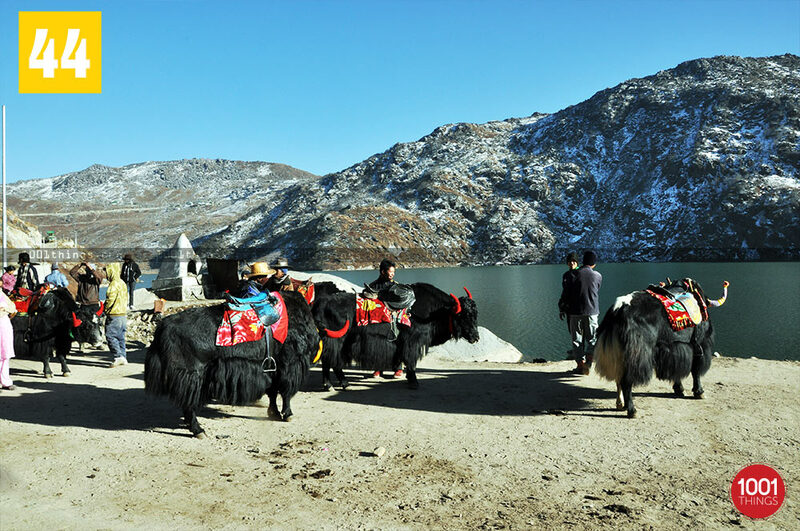 Rides on colourfully decorated yaks and mules are offered at the lake site. 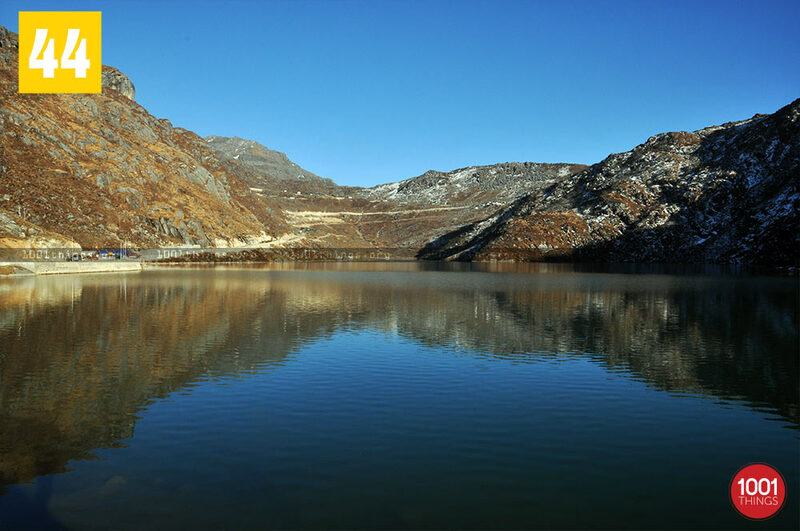 While visiting Sikkim it is a must for the visitors to make a trip to the lake which is an absolute thrilling experience for the people. It also comes as a welcome change for the people from their monotonous and regular life recharging them for their fight ahead.